Preschool is an exciting time for children as they begin the adventure of a lifetime of learning. Right Steps™ provides opportunities for developing a strong foundation for childrenâs future success. Classrooms are set up with a variety of learning areas to ensure development across all learning domains. Children are encouraged to be independent and develop self-care skills. Right Steps™ provides meaningful learning experiences by relating to real life situations. A nurturing, creative program supporting every unique patterns for development, feeding and sleeping. Toddler classrooms support learning through sensory experiences that enhance cognitive, language, motor and social skills. Preschool is an exciting time for children as they begin the adventure of a lifetime of learning. Kindergarten students are encouraged to be responsible productive members of society by showing them how they can make a difference in their world! 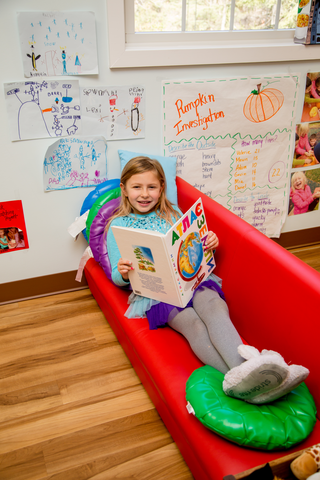 Right Steps™ Provides a unique before and after school learning experience to keep students motivated and focused in a stimulating environment.